Although Yanado is primarily a tool inside Gmail, we thought about those team members of yours who are using different email clients too and for them, we created Yanado web application. Everyone is covered! 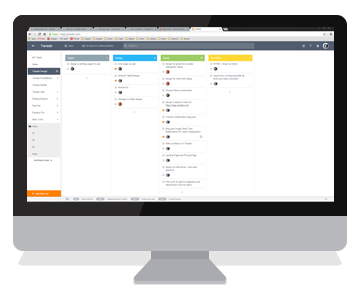 You can now include all of your team members in your projects, independent of email client they are using. Yanado web application has all the same options, features and actions that Gmail tool has, so it’s the same experience for everyone.